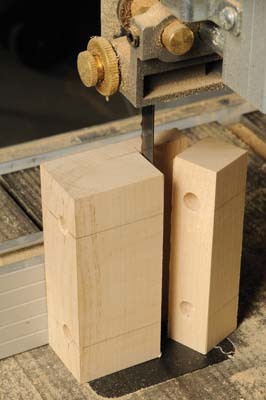 If you don't own a proprietary dowelling jig, after all, most of us will only use one infrequently, it is both easy and cheap to knock your own version together, and here is my method for you to try out. 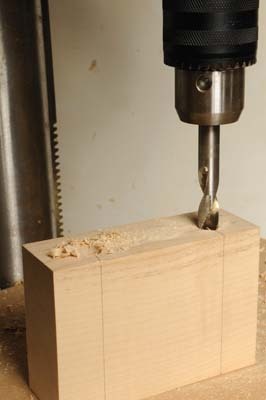 Take a block of a suitable close grained hardwood, in this case I used beech. It needs to be square and true in all planes and approximately a third thicker than the material you are intending to edge dowel. Mark on it accurately where you want the holes to be, making sure they are centred on the intended stock thickness, and the correct width apart. 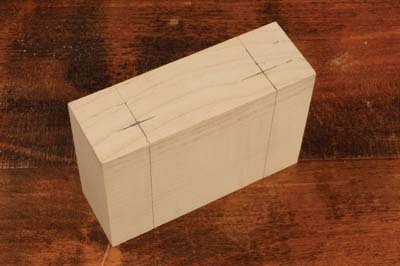 This might, for instance, be the width needed to fit two dowels into the end grain of a frame. 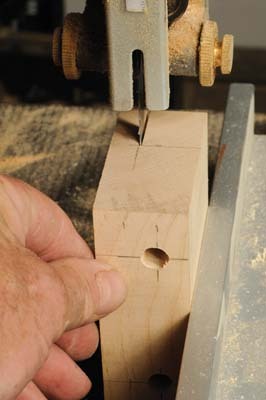 The holes in the jig are made using the drill used for the dowels and must be accurately done, preferably in a drill press to ensure the holes are perpendicular to each other and the rebate locating face. 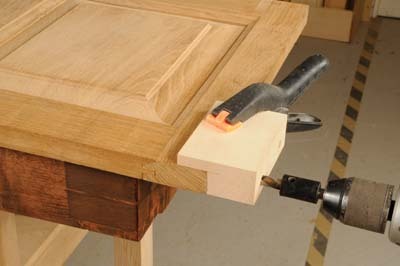 Use only brad point drills as these will centre accurately in the wood.